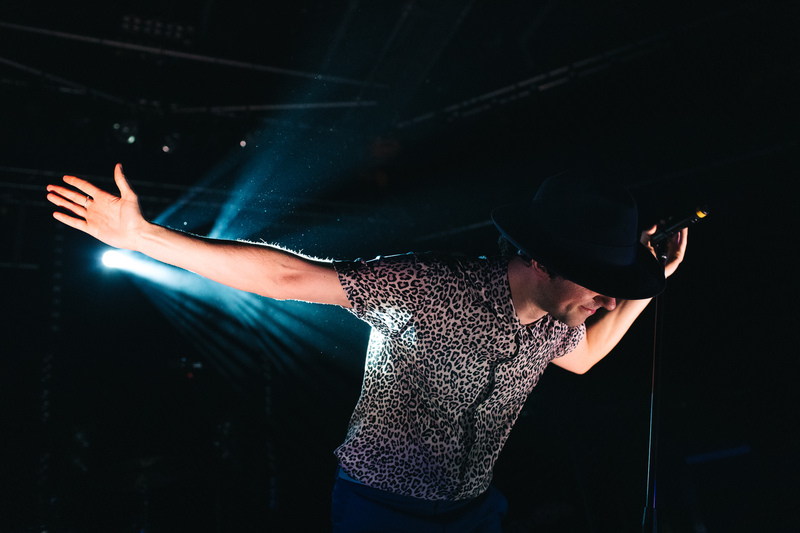 Obviously I had to catch Maxïmo Park on their recent tour off the back of the new album Risk to Exist. They always pick a great support band and the all woman line up of PINS kept with this tradition. Apart from when actually taking pictures, I didn’t stop dancing all night. I paid for it the next day! Released with oddly perfect timing Risk to Exist is full of compassion, showing concern for immigrants, the disabled and the vulnerable. It is an album angry at the state of things, but it’s done with love, dignity and disco. There’s always been some subtle social and political commentary in their music but there’s no beating about the bush this time, because it is the time to say something. The thoughts of many I hope, not the few, set to upbeat disco beats (all explained by Tom in the accompanying fanzine), there’s a bit of an ’80s feel in there too that goes well with the fact you can buy it on cassette! There’s even a little dig at Thatcher in the song Work and Then Wait, Lukas’ synth part was inspired by Telstar, her favourite song. With lyrics I cathartically shouted out at the gig like “the right-wing views have been getting me down” and “when the system is rigged to aid the strong, it leaves me in a terrible way” you can guarantee I’ll be listening to this on my way to the polling station. I’ll probably dance my way back to the least obviously political of the tracks, What Equals Love, it has a lovely uplifting key change. Uplifting change would be nice.